Alternate Provision. Art and Design Placements. Learners at KS3, KS4, KS5 can attend with us 1 or 2 days per week to access Creative Curriculum. Programmes are medium-term, long-term, post 16 re-engagement and work experience. We offer termly programmes to fit the needs and interests of your learners. We have a selection of term time projects throughout the year, often anchored to the collections, exhibitions and creative heritage of the North West. Packages adapted to learner needs and gaining Arts Award 'Discover' certificates. 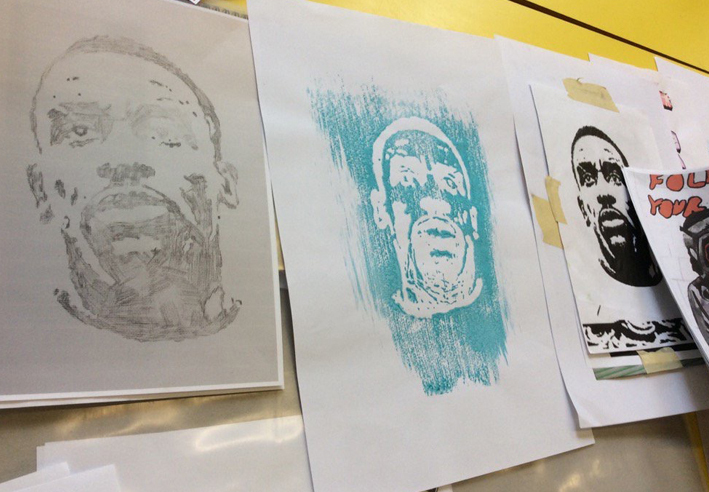 With Art Tutor and Artist working in partnership, learners will be engaged and inspired. Programmes encourage learner led creativity, idea sharing and teamwork. School Holiday projects culminate in a celebration event displaying student creations. This provides an opportunity for Parents, Carers and Community Members to connect and support our young learners. Hats and History, My Face and Place, Graffiti Character 3D Creations, Accessory Design.